Getting Students to TALK in groups! We all know the feeling... We've developed great discussion questions, and we pose them to the class. We ask students to speak with their group and discuss these fantastic questions... and the room is SILENT. This document outlines exactly how to facilitate a group discussion, step-by-step. 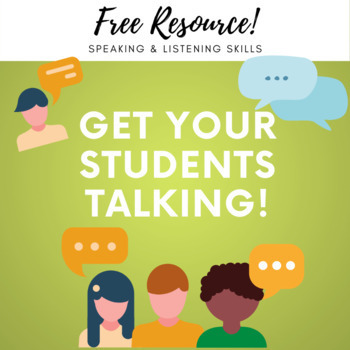 Hopefully it gets your students talking!